4 YouTube Channels for Learning Artificial Intelligence Free! 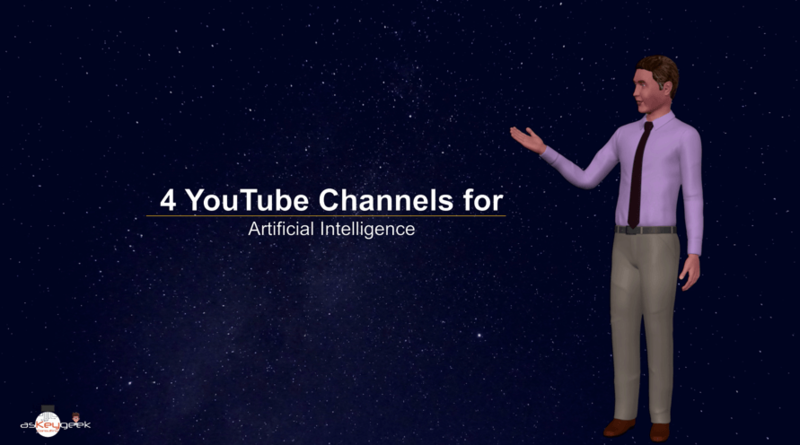 In this article, we will look into 4 YouTube channels worth following as part of your Artificial Intelligence learning. Let me make a disclaimer before proceeding, we are neither associated nor paid for suggesting these channels, and it’s not a promotion for the channels suggested here. These channels are producing worthy contents related to AI and similar topics, hence sharing it here for the information purpose only. Hope you have read the previous article on Learn Artificial Intelligence Online, where we have explained the 2 Prerequisites and the 5 Websites for learning AI. It is better to keep the resources minimum in the initial stage, and gradually you can add additional resources. Keeping that in mind, we have considered only those channels which really add value for free, and not trying to advertise their paid courses through the YouTube channel. If you don’t want to read further then watch the below video. They explain the concepts with really interesting animations and it is very easy to follow. As of making this video, 3Blue 1Brown has more than 1M subscribers. It’s worth subscribing to this channel for understanding Mathematics concepts. As usual, on YouTube there are many other channels on Mathematics, but this is our suggestion for now, and feel free to mention in the comments if you know any other better channel. Sentdex has well-organized Video Playlists focusing on various requirements, for example, Learn Programming with Python, Machine Learning with Python, Data Analysis with Python, Deep Learning with Python and so on. This channel has all that you need in your AI journey and has more than 500K subscribers so far. So, let’s now move on to YouTube channels for Machine Learning, Deep Learning, and AI. Here I would suggest you follow 2 Channels. I would say this is one of the wonderful channels to learn and understand AI, Machine Learning and so on. This channel has more than 500K subscribers as of making this video and has got a lot of good videos on AI & Machine Learning and a few other related topics. Siraj Raval also covers the practical use case of AI, Machine Learning which is helpful. Videos are engaging, and you get to learn something new from each video. DeepMind is a London based technology company which focuses on artificial intelligence research and its application for positive impact. DeepMind was acquired by Google in 2014. Their YouTube channel has more than 100K subscribers and has got really good educational videos on Reinforcement Learning and Deep Learning. These are some of the channels we also follow, if you find our suggestions are helpful then please click the like button. Also if you know any better channel than these then feel free to mention in the comments section below!